Welcome to Au Coeur Du Bien-être, where we provide beauty and health services in Cowansville, Quebec. Au Cœur du Bien-Être has been living its dream over the past 30 years: offering exceptional service to its customers by responding to their need for complete body and mind relaxation. Linda, the owner, and her team put forth every effort to respond to and counsel customers for optimal care. The Au Cœur Du Bien-Être center is renowned for its cosmetic services and massage therapy. 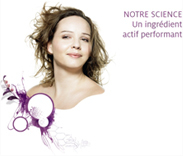 Facial care products made in Quebec by Laboratoire Dr Renaud are of the highest quality. For more than 25 years, the Au Cœur du Bien-Être center has been working with this laboratory. These innovative, research-based products enhance your beauty… naturally. Don't forget to ask for your loyalty card on your next visit! Copyright © Au Coeur du Bien-Être, 2011. All rights reserved.